The Vine and Leaf Cylinder Pendant is both aesthetically pleasing and functional high-end design. The pendant's shade hooks into an antique copper finished metal rod and chain to complement the piece. The open bottom projects downward light to illuminate the surface or space below. 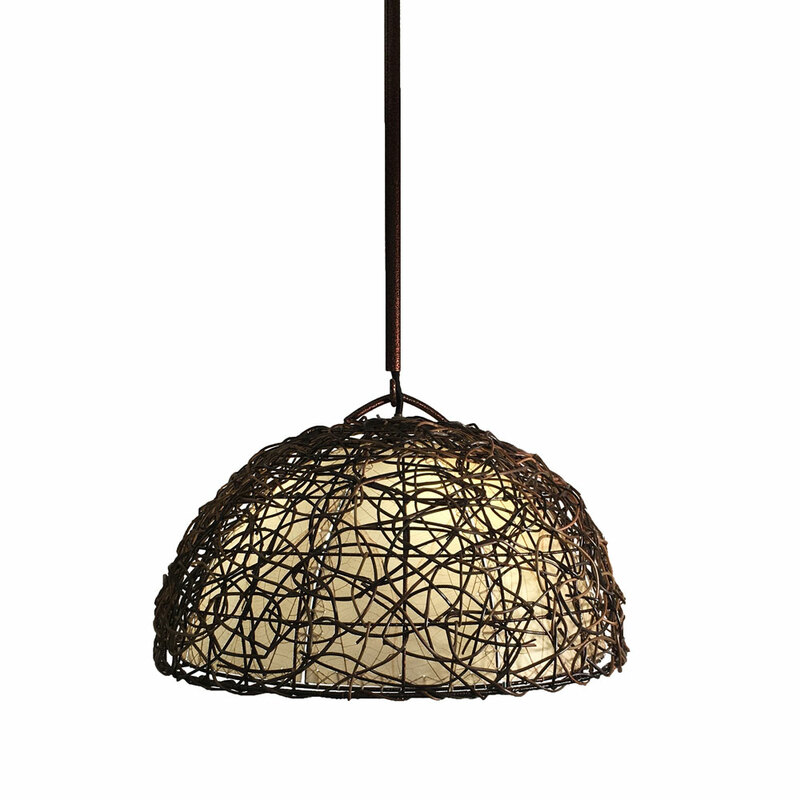 Features an inner diffusor made from fossilized cocoa leaves which are adhered to a standard UL lamp backing. The outer diffusor features nito vine wrapped around a wrought iron and mesh frame. The exposed metal is finished with an antique copper powder coat to complete the look. Each lamp includes a antique copper finished ceiling plate, approximately seven feet of adjustable cord and all hardware required to install it in a standard ceiling box.